CHINI LIVE..Keeping up with the latest Buzz! : And the winner is... No envelop? And the winner is... No envelop? During the American Music Awards 2012 show, the winning envelops were conspicuously missing. 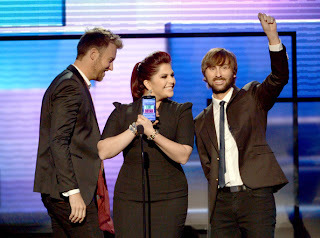 Instead, all presenters were reading out the winners from Samsung Galaxy Note II smartphones. 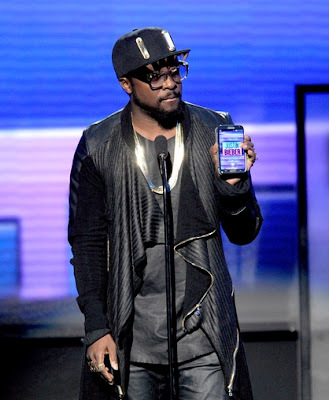 Will.i.am holds one up to the crowd, showing the "Biebs" just won a category. 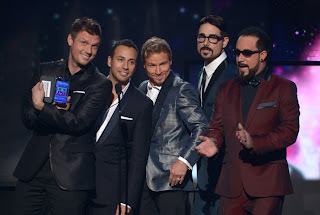 And so does the Backstreet Boys. My Question is, do they get to keep the Galaxy notes? hmmmm!